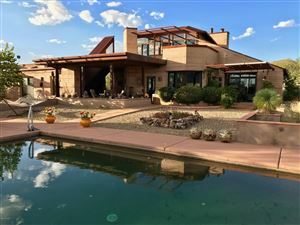 Mike Erickson is a licensed Arizona real estate agent and REALTOR® affiliated with Coldwell Banker Residential Brokerage in Tucson, Arizona. With almost 10 years of real estate experience as both a mortgage loan officer and real estate agent, Mike works closely with buyers and sellers who engage in both the residential and investment property markets in central Tucson. Mike is also an honorably discharged veteran of the United States Air Force. He served in the first Gulf War as a member of a combat search and rescue unit based in England. His second tour of duty was at Davis-Monthan AFB with an electronic combat unit. 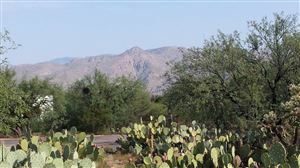 Mike has lived in Tucson since 1992 where he earned his bachelors in business and graduate degrees in education from the University of Phoenix. He is married and enjoys tent camping, hiking, traveling, cooking and spending time with family. You need someone who knows this area inside and out! Mike can work with you to find the right home at the right price for you, including all the neighborhood amenities that matter - not to mention the essential criteria you have for your ideal home. When it's time to move, you need someone who will advertise your home, show to prospective buyers, negotiate the purchase contract, arrange the financing, oversee the inspections, handle all necessary paperwork and supervise the closing. Mike can take care of everything you need, from start to close. Oftentimes buyers don't visualize living in your home the way you do. Mike can make your home attractive to its ideal audience - which can help you get top dollar. Things like, staging the home, making repairs or minor improvements, or even simply painting the walls can be the difference between a home resting on the market and one that's sold fast. Need more? Call or text Mike at 520-777-6142. Help me support these fine organizations. That Others May Live Foundation provides critical support for the families of United States Air Force Rescue Heroes who are killed or severely wounded. Southern Arizona Rescue Association is a non-profit corporation that coordinates five all-volunteer local search and rescue groups serving Tucson, Pima County, and Southern Arizona.